A couple of months ago, I found myself in a conundrum. 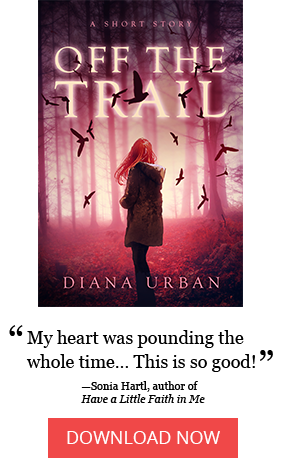 After trying to get a book deal for years, I was eager to get my books into readers’ hands, so planned to indie-publish my first novel. I even hired a copyeditor and started researching cover designers. I was ready. Around the same time, I finished editing my third novel, a YA thriller called The Last Hour, a cross between to Agatha Christie’s And Then There Were None and Abigail Haas’s Dangerous Girls — nine teens get locked in a room and must choose someone to kill within an hour, or else they’ll all die. My CPs said they loved it. A few told me it was the most marketable book I’d written, and encouraged me to try for a new agent. But that would mean nixing my plans to indie-pub — if I signed with an agent, they’d need to pitch The Last Hour to publishers as my debut. After a significant amount of soul-searching, I decided to give traditional publishing one last shot. It’s a dream I’ve had forever, and if this book could make those dreams come true, I wanted to go for it. Of course, that meant querying agents all over again. The “query trenches” are aptly named — pitching your novel to literary agents is like putting your emotions through a war zone. The rejections are brutal, and the silence is even more torturous. But this time around, I felt more prepared to query than ever before, thanks to all the lessons I’d learned over the past few years. Flash forward a month, and I’m BEYOND THRILLED to announce that I’m now represented by rockstar agent Jim McCarthy. Jim has ushered some seriously fantastic books to publication (Vampire Academy, The Program, Falling Kingdoms, just to name a few). He also truly gets my book, and I love his enthusiasm and his vision for it. Plus, his clients absolutely adore him. I could not be more ecstatic to join his roster! I’m so grateful to have signed with such a stellar agent, and I’m also extremely thankful to my li’l community of author friends and CPs who encouraged me, offered advice and feedback, let me vent, and cheered me on. To celebrate and pay it forward, I’d like share what I’ve learned about querying over the years with you! Hopefully these tips can make at least one author’s journey a bit easier. Note that there aren’t any writing tips here; obviously you should seek to always improve your craft and query a polished book. Also, these query tips are not necessarily standard best practices — they are purely based on my own experience, which includes coming out of two agent partnerships sans book deal, and what I’ve seen my friends go through. If there’s one thing I’ve learned repeatedly throughout this process, it’s that every author’s journey is different. And there are no guarantees. 1. Do. Your. Research. #MSWL can help significantly. Think of querying your book as marketing it to the right target audience. The more targeted your approach, the more quality leads you’ll generate. The process of researching agents, selecting the right ones, and customizing each query letter might seem daunting. But it can be the difference between a full request and a pass… or silence. First, find the agents who’d be most interested in your project. Manuscript Wish List (MSWL) can save you oodles of time. Go to the Manuscript List Wish website and use the search feature to not only search by genre or subgenre, but also any themes, tropes, settings, comp titles, comp authors, or anything else relevant to your book. Then do the same on Twitter. Agents often tweet off-the-cuff #MSWLs that aren’t in their official MSWL bio, so search for #MSWL plus those terms relevant to your book. If you find a match, you can reference #MSWL in your query letter’s subject line, which can help your query stand out, and might even get you a faster read. 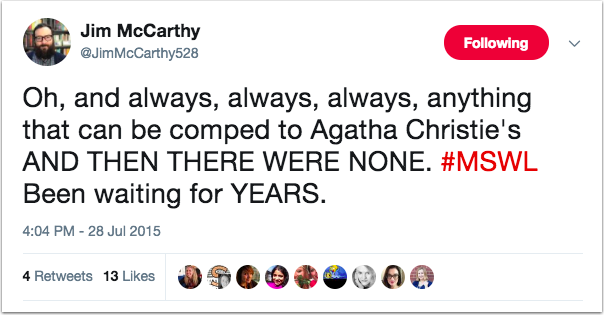 I already knew Jim was a dream agent based on his past sales and happy clients, but when I searched “#MSWL And Then There Were None” (one of my comp titles) on Twitter, this popped up. Oh. My. God. Could the stars be any more aligned? Not all agents participate in #MSWL, so also look at book sales in your genre and see which agents sold those — either by using Publishers Marketplace or by reading the author’s acknowledgments at the end of their book. Review those agents’ websites (both the submissions and bio pages), interviews, and/or blog posts to learn about their interests. Take notes this whole time. The information you find on each agent will help you customize each query letter. 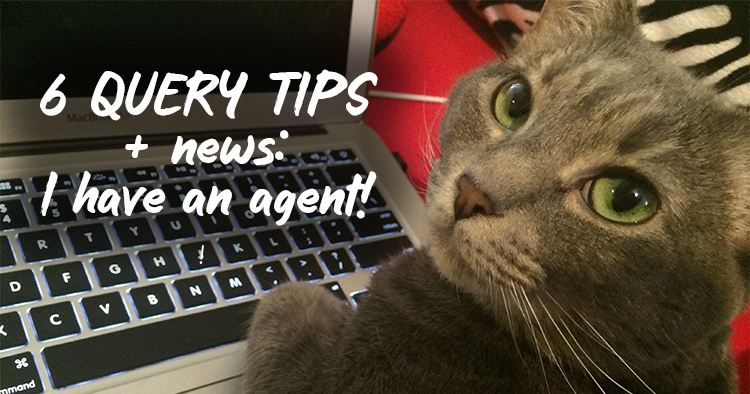 Next, make sure the agents are the right fit for you. Before sending out those queries, also make sure that each agent on your list is someone you would actually want to sign with. Otherwise, you’ll be wasting their time — but you’ll also risk getting an offer from someone you wouldn’t be happy working with, or who might not be the best advocate for your book. And you don’t want to find that out after you’ve nudged all the other agents about the offer (but if you do, here’s some advice from Janet Reid). So how can you know who you’d want to sign with? This is very much a personal choice based on your publishing goals. For example, lots of authors are thrilled to sign with newer agents who are hungrier for their first few sales, but others want a more experienced agent. Many want to find their book a home at a Big 5 imprint, while others with more niche titles would be happier at a mid-sized or small press. There’s no wrong option here (aside from signing with a schmagent, that is). Just make sure to set your standards and do your research before you query, using sites like Publishers Marketplace, AbsoluteWrite, and/or Writer Beware. Of course, there are some things you can’t really know until you reach out to an offering agent’s clients. There’s a level of risk to all of this. And writers do change agents all the time, but in a perfect world, nobody would put themselves through this process more than once. So do what you can to protect yourself. Do. Your. Research. 2. Hire professional help on your query letter. You might have written the most epic book in modern history, but without an enticing and polished query letter to snag agents’ attention, they’re less likely to read. Give your book its best shot by hiring professional help. Sure, there are lots of ways to crowdsource help — CPs, author groups on Facebook, the AbsoluteWrite forums, and so forth, and it doesn’t hurt to start here. But in my experience, nothing matches the expertise of a freelance editor who also works in publishing and looks at dozens of queries/pitches every week for their actual job. If you’re thinking, “Nah, I’m a writer, I can write this query myself,” this is not the time to let pride sway your decision. Agents see dozens of queries every day. Do whatever you can to make yours brilliant. Many freelancers will critique your query for $25 or less. I understand that budgeting might be an issue, but if you invest money anywhere in this process, this is it. It’s the cost of five lattes. Give up coffee for a week. Do it. After drafting several versions of my query, I sent my two favorites to a few friends to get one of them into the best shape I could before investing money. Then I hired two professionals for two rounds of edits. I wasn’t messing around. While I’d never guarantee any kind of results, I ended up with a 40% request rate. It was impossible to run A/B tests, so I can’t know if my results would have been different had I not gotten these professional critiques — but they certainly didn’t hurt. 3. Personalize your query letters. I personalized the first paragraph of each query letter before diving into the pitch. There were just a few exceptions; I tested moving the personalized paragraph lower in the query (above my bio). The ordering didn’t really make a difference, but my sample size was small. Other interests – when an agent mentioned their interests on their website, in an interview, etc. I personalized almost every single query. It took a lot of time. It was worth it. 4. Use QueryTracker to track everything. I used QueryTracker to track my progress instead of using a spreadsheet. There are some really handy tools in there — you can easily mark when you queried and received a response, and sort by that status. You can also save notes (this is where I added all of my agent research notes), set reminders, and ask questions to other users tracking each agent if you need to. I paid for an account ($25/year) so I could add a new project and keep my historical data from the last two books I queried, and also use some of their premium reports and data explorer tools. Be cautious here. If you’re a data nerd like me, these reports can drive you up the wall. So. Yeah. Only pay for QueryTracker if you are okay with subjecting yourself to that level of neurosis. If you’d rather not deal with that, the free version will do just fine. 5. Test your query with fast-responding agents. It used to be best to send small batches of 5-8 queries at a time. If you got requests for the full manuscript, great, keep querying. If you got passes, revisit your query and sample pages, and send a new batch the revised version. Easy enough. Then no-response-equals-no became the norm. Many agents now ignore queries they’re not interested in, and only respond when they want to request more pages. This makes it impossible for the author to know what happened — was it a rejection? Are they just slow to respond? Am I in a “maybe” pile? Did my email get caught in a spam filter? Now sending small rounds can mean waiting indefinitely. I wasn’t okay with waiting forever. But I also didn’t want to risk sending all of my queries without testing the pitch and sample pages first! So I used QueryTracker’s tools to find who on my list (1) had a response rate of 75%+ and (2) were the fastest responding agents, and compiled a shortlist of those agents. You might choose to save your top choices for round #2 (but if you start getting requests, don’t wait too long in case an offer comes through!). Within the first couple of days, I had four full requests. I considered that validation enough, and queried all the rest of the agents on my list within two weeks. Note that I didn’t wait to get responses on the full before querying everyone. I only got two rejections on the full before getting my first offer, but if I did, I would have missed an opportunity to revise — so I was a definitely more impatient than I would generally recommend. After you send out your queries, there’s a whole lot of waiting involved. But once you’re lucky enough to land an offer (or multiple offers! ), it’s time to decide what to do. Sales experience and agency clout are definitely factors you want to consider. But for me, so much hinged on the phone call. I wanted an agent who was super excited about my book, and whose vision was most in line with mine. It doesn’t matter how great an agent looks on paper — if they’re not ecstatic about your book, they might not be the best advocate for it once it’s time to pitch it to editors. Excitement matters so much. Also think about who offered the best feedback that’s consistent with your own vision for the book, and who wants to work with you to polish it before going on submission. Of course, this depends on how much editorial feedback you’re looking for. If you want an agent who ensures your MS is in the best shape possible before submitting, you might choose one who had more feedback to offer. Conversely, you might not want to make edits that would significantly change your story. I’ve heard of authors who’ve been in revision hell with an agent for a year or more before going on submission (or parting ways, because enough was enough). This is all definitely a personal preference and judgement call you need to make yourself. Trust your gut on this one. Also, talk to a few of each agent’s clients. Ask them about what it was like to be on submission, what the agent’s editorial feedback looked like, what communication is like, and what red flags to look out for. Seeking out former clients can be even more telling (you can do this without reaching out to them if you have mad Googling skills and if they blogged about the experience). When I finished my first book almost four years ago, #PitMad happened to take place that week. I participated, and four days later, I got my first offer of rep. That might seem like a dream scenario, but I hadn’t had the chance to query the normal way yet — and once you get your first offer, you’re supposed to stop querying. I could only nudge the dozen or so agents I’d queried, mostly from #PitMad likes. Not only that, but I didn’t know what to look for in an agent. I didn’t know what level of experience in my genre was ideal, what relationships with editors to look for, or what communication issues to avoid. I hadn’t had the chance to learn. And by the time I had five offers two weeks later, I had no solid basis for deciding between them. I didn’t have many friends in the industry yet to ask their advice. I KNEW NOTHING. So make sure you’ve done your research before participating in any Twitter pitch contests, and perhaps give yourself a chance to query normally first, since not all agents participate in those contests. But then pitch away! These contests can be fantastic ways to get agents’ attention, and to make life-long friends in the publishing community. I hope this helps at least one person readying for the query trenches. As for me, I’m SO FREAKING EXCITED to be working with Jim now. I’m so glad I decided to give traditional publishing another shot, and so grateful to my CPs and friends for cheering me on. And I look forward to seeing what the future will bring. Wish me luck! Get updates delivered to your inbox! You’ll be the first to know about new books, short stories, exclusive content, and more. 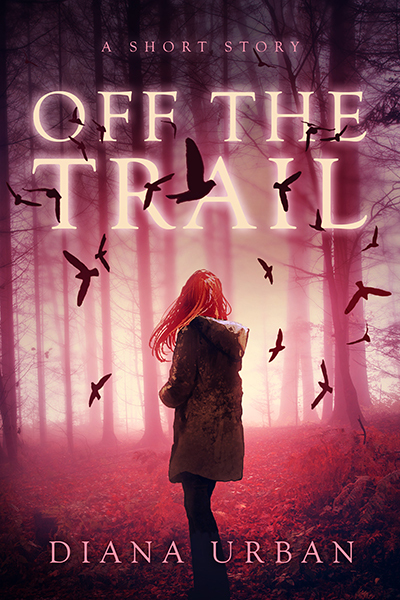 PLUS you'll get a free psychological thriller story right away!